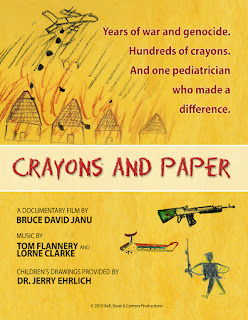 Crayons and Paper tells the story of Dr. Jerry Ehrlich, a pediatrician from New Jersey who used crayons and paper to have his young patients describe their experiences in the war-torn nations of Sri Lanka and Sudan. Plus, save by purchasing Crayons and Paper with Facing Sudan! Download two songs from Crayons and Paper below. 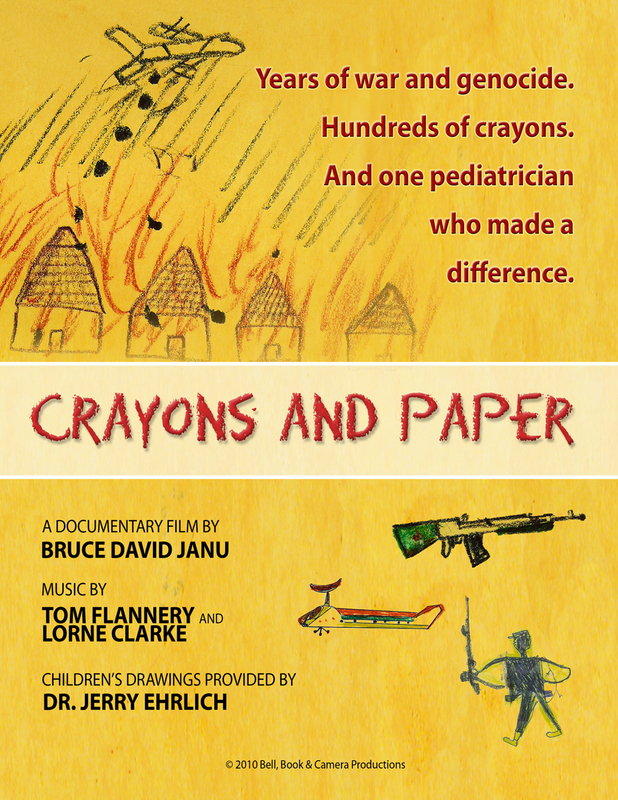 The songs for Crayons and Paper were written and performed by Tom Flannery and Lorne Clarke. Dr. Jerry Ehrlich began his pediatric career in 1966 the Cherry Hill, New Jersey. 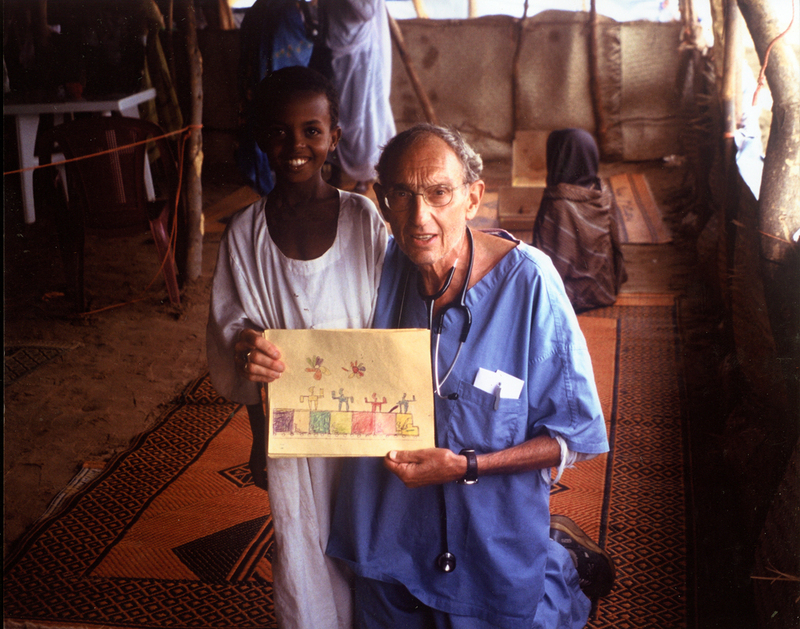 In 1991, Dr. Jerry first traveled to Sri Lanka with the aid organization, Doctors Without Borders. After making two more trips to Sri Lanka, he received a call about a mission to Darfur in 2004. Like he did in Sri Lanka, Dr. Jerry brought with him boxes of crayons and sheets of paper so that the children could document their lives through art. He got the idea to do this after viewing some drawings made by children during the Holocaust in the Terezin ghetto in what is now the Czech Republic. He returned from Darfur with over 150 drawings. A few of those drawings were placed online and director Bruce David Janu stumbled upon them while making his film, Facing Sudan. The two subsequently met and portions of Dr. Jerry's interview can be found in that film. However, there was more to the interview than just Darfur, which prompted Janu to produce a short documentary that focuses exclusively on Dr. Jerry and the drawings he brought back from not only Darfur, but also Sri Lanka. Dr. Jerry recently retired, but continues to spread awareness about Darfur by making presentations to schools and community organizations.